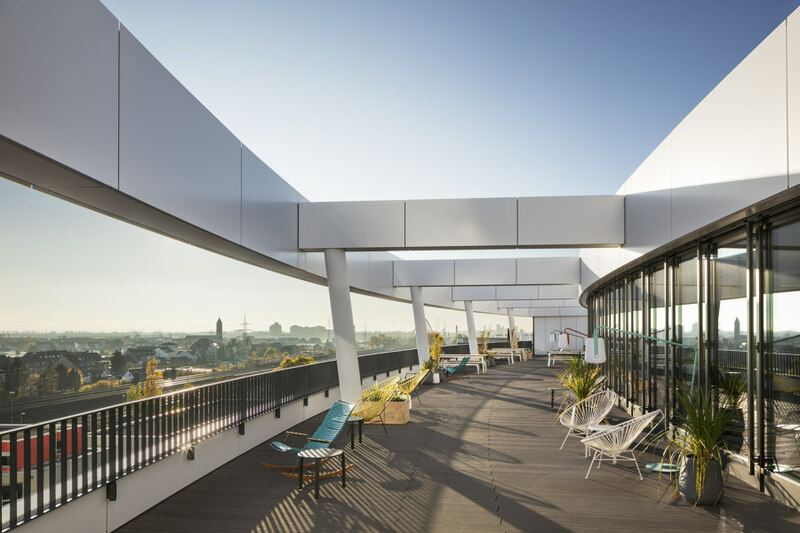 The new headquarters of the global hotel search trivago is located in the Dusseldorf MedienHafen. 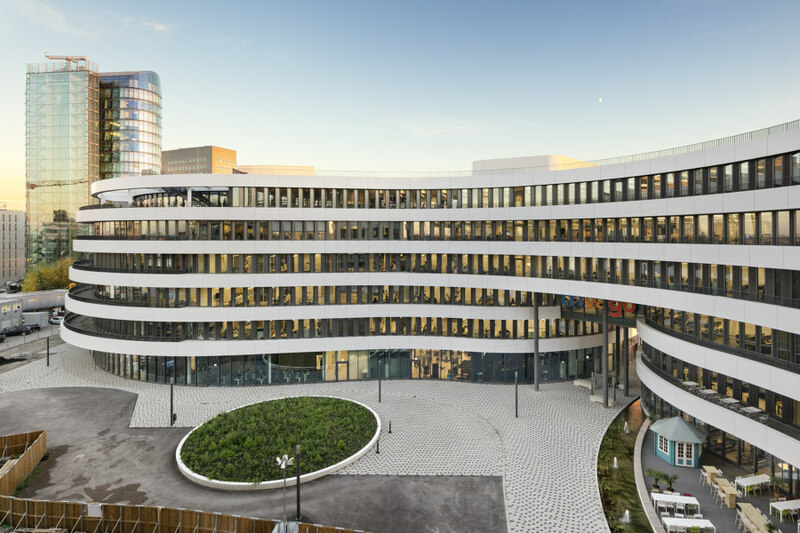 To create an appropriate company headquarters for the international team from more than 50 countries, slapa oberholz pszczulny | sop architekten designed an urban campus that offers the highest quality to up to 2,000 employees. The site is exposed at the foot of the harbour basin A on Kesselstraße and consists of two buildings and generous open spaces. 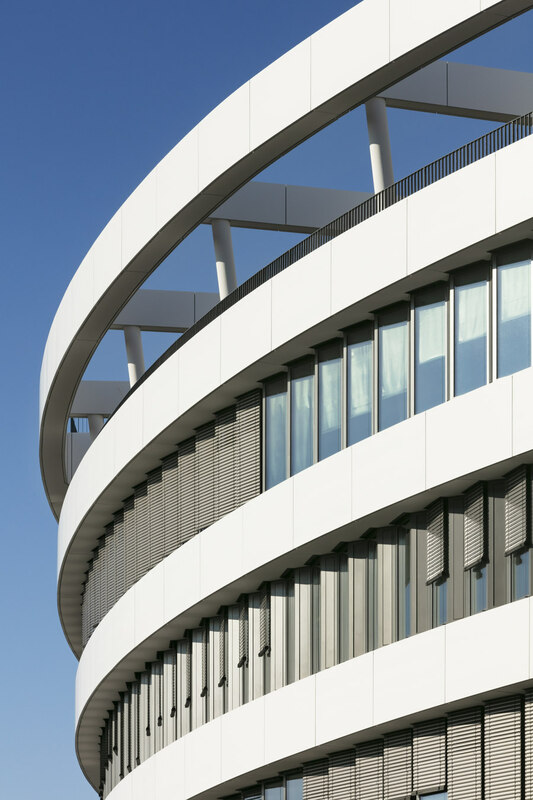 The organically shaped structures open invitingly to the water and offer a playful balance at the intersection of the numerous building lines and edges of the MedienHafen. 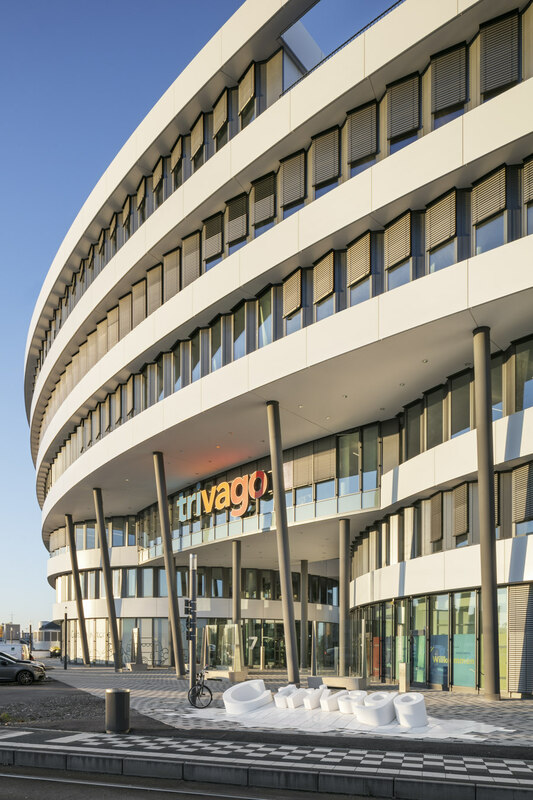 The six-storey, drop-shaped building used by trivago covers about 30,000 m² and faces the harbour basin. The plinth area of the elongated architecture is subdivided into two parts of the building, connected by green inner courtyards. On the southern side of the building is the main entrance, which is clearly marked by a two-storey entrance hall. 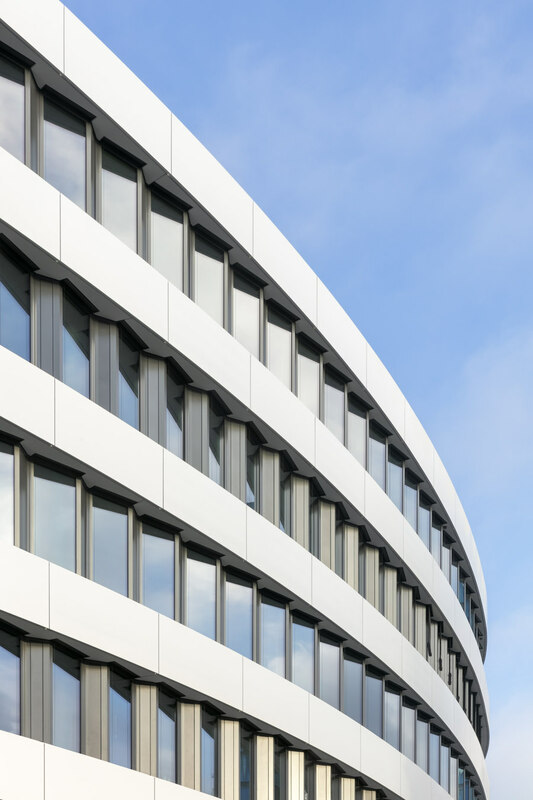 The flowing building form is emphasized by the strict, homogeneous design of the façade. 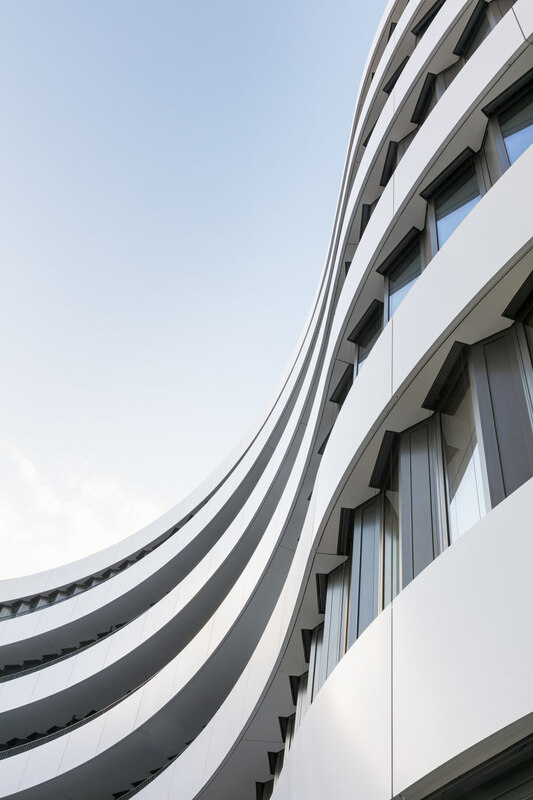 The horizontally structured façade is defined by its sculpted, white balustrades and creates a varied spatial structure through numerous balconies, terraces, and loggias. 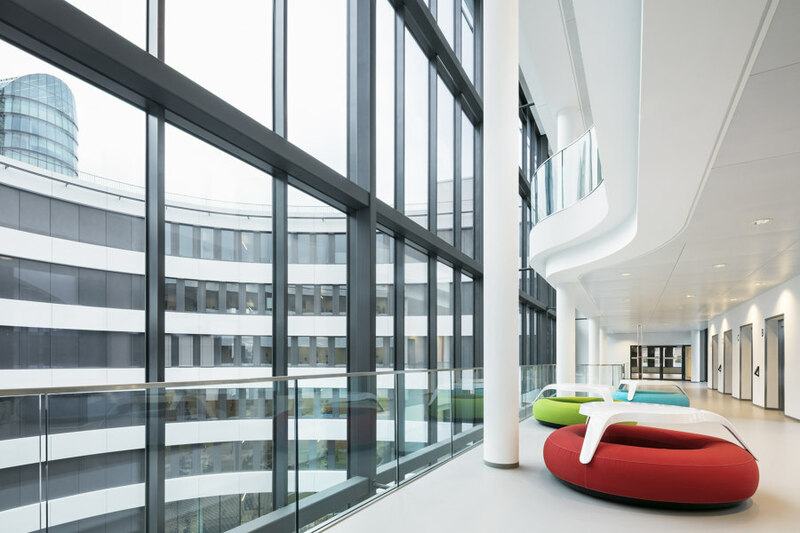 This blurs the boundaries between interior and exterior surfaces, opening the building and creating a welcoming atmosphere that reflects the company's transparency and openness. 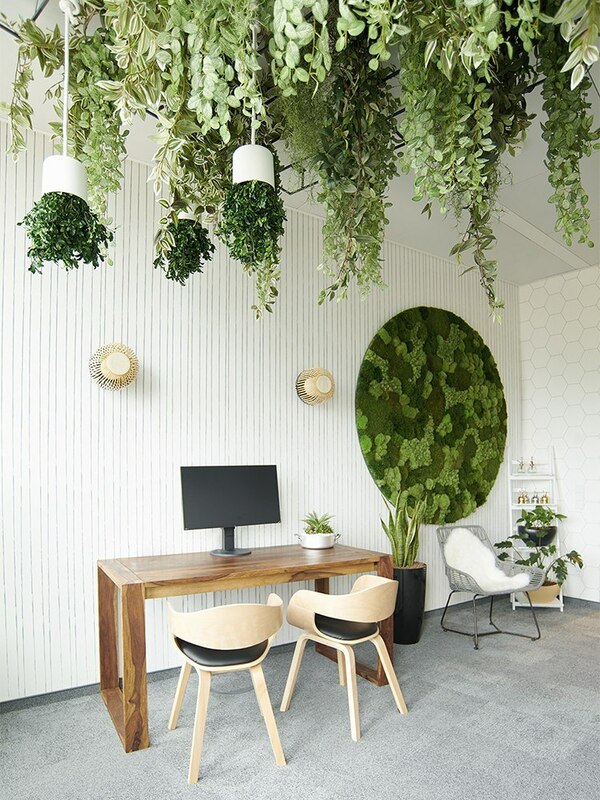 The clear-cut architecture continues inside the building, whose office space is predominantly kept in an open structure, and thus provides the ideal setting for the multi-faceted interior design, which the interior design firm raum.atelier developed in close cooperation with trivago. 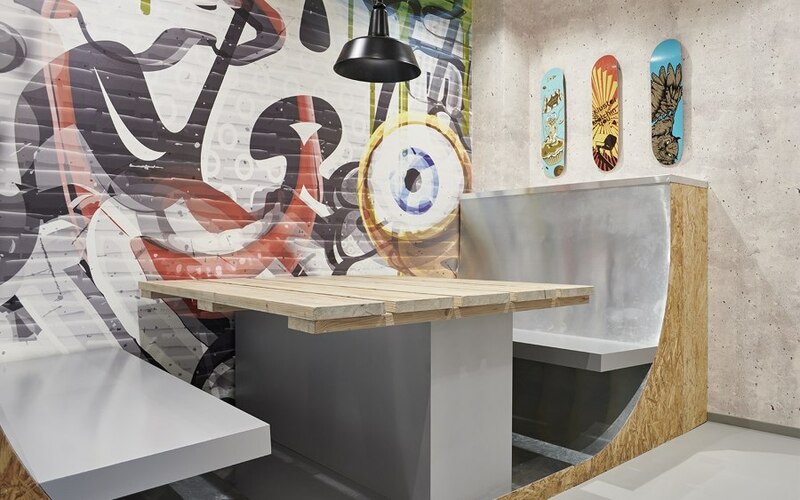 The state-of-the-art, urban-style campus underscores trivago's corporate culture and offers ample space for employees' different focuses and innovative ways of working. 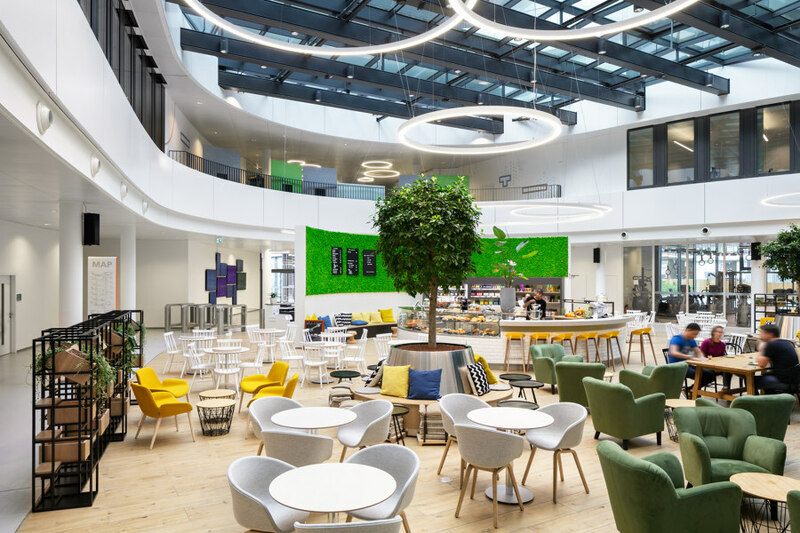 Gastronomy and kitchen areas in the form of the "Culture Kitchen", conference and training rooms, a library and a cinema are available to employees as well as fitness rooms for daily sports courses. The leafy outdoor areas with additional landscaped water also offer many comfortable living spaces outside the building. 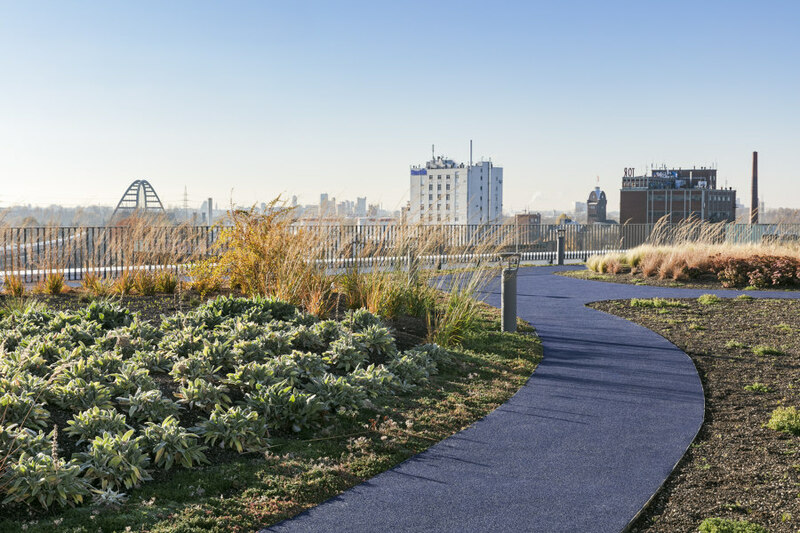 This includes the jogging track on the planted roof terrace with a unique view over the MedienHafen. 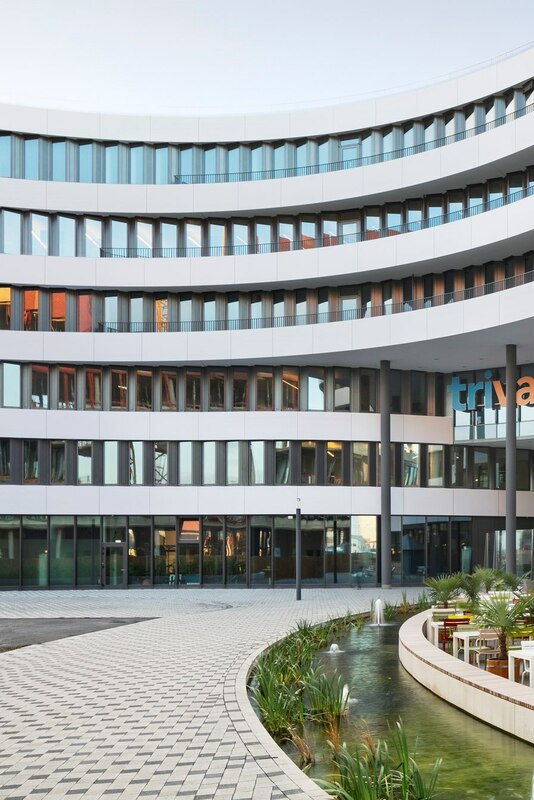 The first construction phase of the trivago headquarters, whose owner and developer is the Austrian commercial property group IMMOFINANZ, was completed in the summer of 2018. 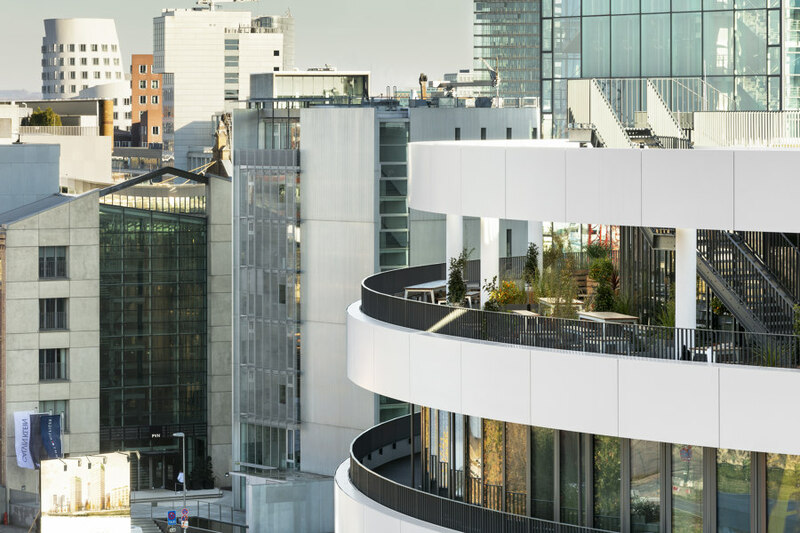 In the second construction phase, a 16-storey 24,000 m² office building will be built on the site, which will complete the property to the west. 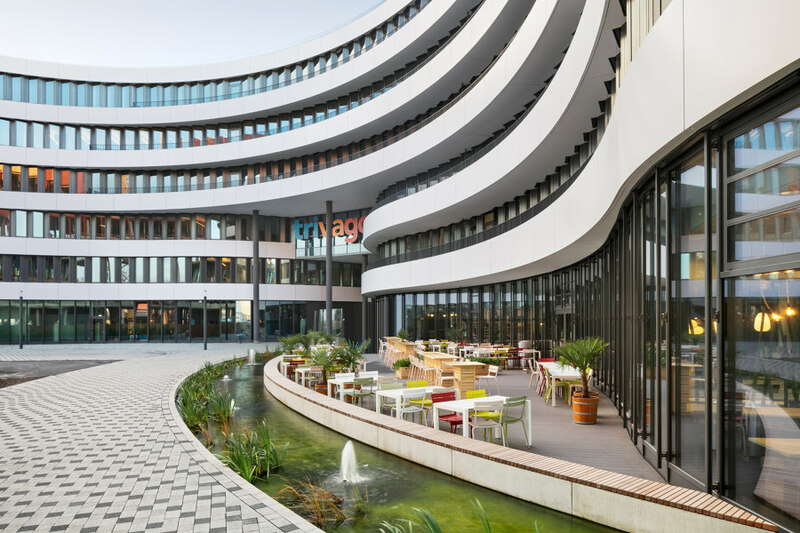 The façade design of the trivago headquarters with its striking parapet strips and the jutting balconies will be continued. 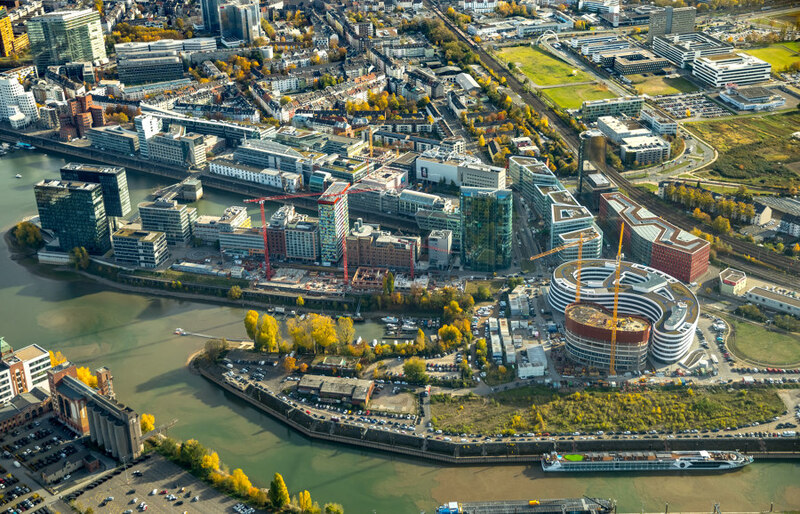 Together, the two buildings, which are connected to each other underground via a parking garage with around 500 parking spaces, form a new architectural ensemble that shapes the MedienHafen.